Benefits of a Facial Treatment - Tinaciouslee! Facial treatments give the skin the kind of deep cleansing you won’t get from your average cleansing routine. That’s because the treatment is comprised of skin-boosting products that remove deep-seated dirt, grime, and sebum from the epidermis. The result? A deeper kind of clean that you can see and feel! Most facial treatments are meant to regulate the production of sebum on the skin. Sebum is a waxy compound that lubricates the skin. But too much of it can cause breakouts and clogged pores. Overproduction of sebum can cause blackheads, whiteheads, acne, pimples and so much more. Cleansing helps eliminate excess sebum for a brighter, clearer skin. One of the best things about getting a facial is the gentle massage you get to let the products sink into the skin. 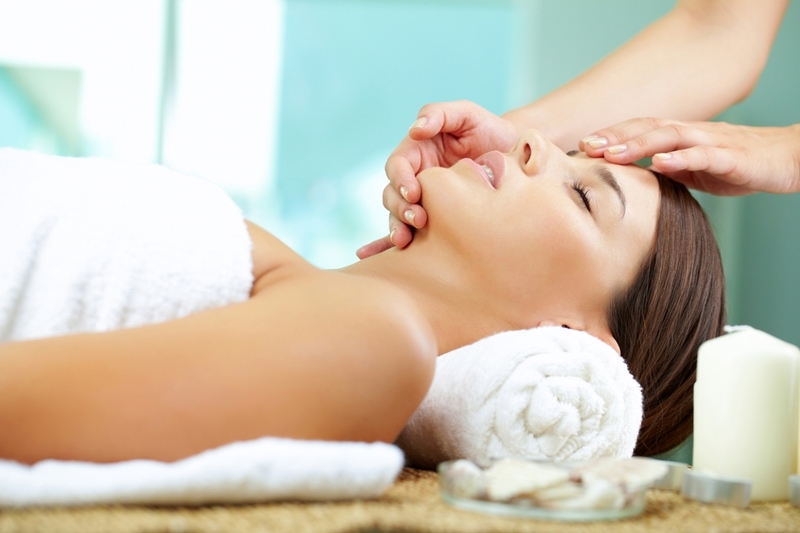 Facial massages help boost blood circulation while sloughing off dead skin cells. Better circulation allows the cells to obtain enough oxygen to keep the skin smooth and youthful-looking. Regular massage keeps the skin plump, rosy and glowing! A facial treatment isn’t just good for the skin. It’s also a great way to diffuse stress and reduce anxiety. According to researchers, facial massage treatment helps boost circulation while skin-boosting products keep the skin hydrated and clear. All these factors contribute to the relaxing effects of a facial treatment. A day in the spa also promotes contentment and peace of mind. There’s no way to stop the skin from aging, but you can slow down the aging process! Regular facial treatment is a great way to do just that! Laser treatments, skin resurfacing techniques, massages and even aromatic oils promote collagen production and speeds up cell turnover. Exfoliation removes dead skin cells to reveal the clear, glowing skin underneath. Various tools, skin care products, and techniques come together to defy the signs of aging, repair damaged cells, and maintain a youthful appearance. We all know that facial treatments are meant to target certain skin concerns. Some facial treatments help dry out pimples and fade out scars. Others are comprised of medicated skin care products to soothe acne, eczema, psoriasis and severe skin issues. Some facial treatments help tighten the pores, firm up the skin and improve elasticity. There is a right facial treatment to address every skin concern so it’s important to choose the ones that suit you the best! Suffering from clogged pores, painful cystic acne, and oily skin? Regular facial treatments help detoxify the skin, clear up clogged pores and remove dead skin cells. Facial treatments also promote cell repair to reverse damage caused by UV rays and environmental stress.